Take in the views from a rooftop terrace and a garden and make use of amenities such as complimentary wireless Internet access. Additional features at this Art Deco hotel include concierge services and a television in a common area. Take advantage of the hotel's room service (during limited hours). Wrap up your day with a drink at the bar/lounge. A complimentary buffet breakfast is served daily from 7 AM to 10 AM. Make yourself at home in one of the 200 air-conditioned rooms featuring minibars and LED televisions. Complimentary wireless Internet access keeps you connected, and satellite programming is available for your entertainment. Private bathrooms with bathtubs or showers feature complimentary toiletries and hair dryers. Conveniences include phones, as well as safes and desks. 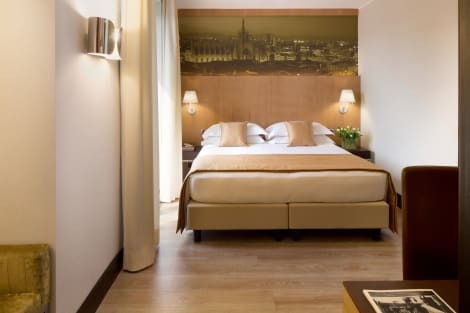 Situated in the heart of Milan, the 4-star Starhotels Ritz is in an ideal location to explore the city. 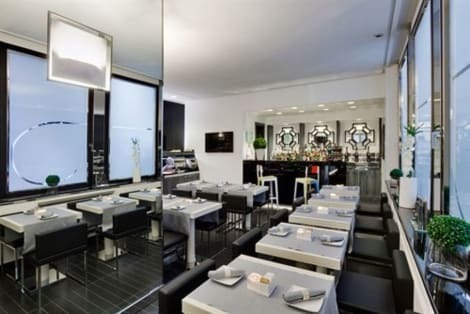 Close by, discover Chinatown, Sempione Park, Brera Art Gallery, Milan Cathedral and Sforza Castle. Unwind in the wellness area, Turkish bath or fitness room. Complimentary wi-fi is provided throughout and pets are welcome. Every room is equipped with a minibar, safety deposit box, flatscreen TV and air conditioning. A full American buffet breakfast is served in the breakfast room. 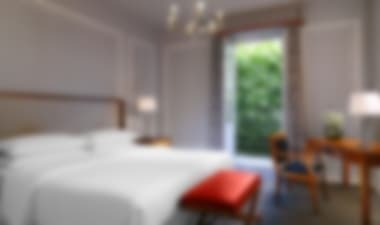 With its own gardens, and excellent location, close to some of the city's best shops, this historic 4-star hotel is a truly enchanting place to stay in the heart of Milan. The hotel's restaurant specialises in local cuisine, which you can enjoy out on the beautiful terrace, and you can unwind in the well-stocked on-site gym, or browse the net on the cool lobby's complimentary wifi. The en suite rooms are air conditioned, and have flat-screen TVs with satellite channels and on-demand movies.